A US judge is considering a complaint by People for the Ethical Treatment of Animals (PETA) against SeaWorld claiming that five killer whales at its marine parks are treated like slaves because they’re forced to live in tanks and perform daily. The case, which went to court Monday, could determine whether animals enjoy the same constitutional protection against slavery as human beings. 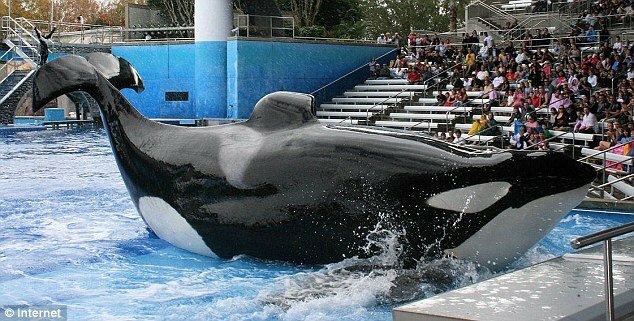 The five whales – Tilikum, Katina, Corky, Kasatka, and Ulises – have been named as the plaintiffs in the case. Attorney Jeffery Kerr is representing them and argues that SeaWorld is violating their 13th amendment, which prohibits slavery. It is reportedly the first time a US court has heard legal arguments over whether animals should enjoy the same constitutional protections as humans. SeaWorld’s legal team said the case was a waste of time and resources. Theodore Shaw said that if the case were successful, it could have implications not just on how other marine parks or zoos operate, but even on the police use of sniffer dogs to detect bombs and drugs. PETA says the killer whales are treated like slaves for being forced to live in tanks and perform daily at the SeaWorld parks in California and Florida. It is not considered likely that the whales will win their freedom, but campaigners said they were pleased the case even made it to a courtroom. The lawsuit invokes the 13th Amendment to the constitution, which abolished “slavery or involuntary servitude” in the US. Jeffrey Kerr, the lawyer representing the five whales, said: “For the first time in our nation’s history, a federal court heard arguments as to whether living, breathing, feeling beings have rights and can be enslaved simply because they happen to not have been born human. Hearing the arguments for about an hour, US District Judge Jeffrey Miller raised concerns over whether animals could be represented as plaintiffs in a lawsuit. He will issue a ruling at a later date. PETA names the five wild-captured orca plaintiffs as Tilikum and Katina, at SeaWorld Orlando; and Kasatka, Corky, and Ulises, at SeaWorld San Diego. It is not Tilikum’s first time in the media spotlight – he drowned his trainer before horrified spectators in February 2010, prompting a ban on the Florida park’s employees entering the water to perform tricks with the orcas. The same whale has also been linked to two other deaths.